I have examined these etchings; all are in excellent condition, each one the best of an edition. They are mounted on conservation mat and enclosed in archival glassine envelopes. They have always been kept in a climate controlled vault. Please contact me regarding. 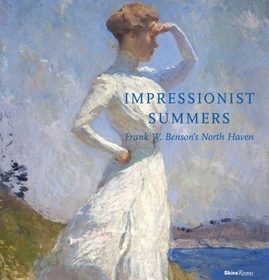 This book focuses on Frank W. Benson’s life and work in Maine, where he spent summers on North Haven Island, at Wooster Farm. It was there that he painted almost all of his brilliant, light-filled Impressionist paintings, launched his prolific etching career, and began his highly successful watercolor period, many. 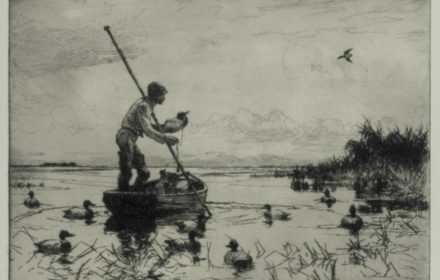 In mid-life, after an extremely successful career as a portraitist and painter of plein air canvases, Frank W. Benson returned to the wildfowl and sporting subjects that were his lifelong passion. 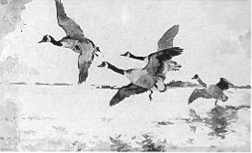 Over the next forty years, in etching, lithography, watercolor, and oil and wash, he portrayed birds beloved since childhood. Mrs. Andrews Bedford has drawn on a rich store of family memories, diaries, letters and archives to create an intimate biography of the artist. 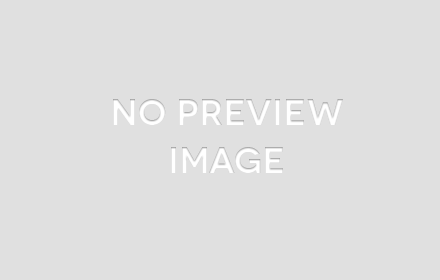 Her research both here and abroad have created an authoritative portrait of the artist and his personal and professional milieu. This rare material allows intriguing insights. 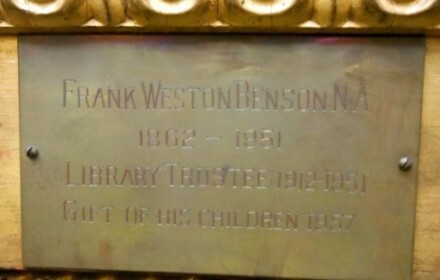 In July, Faith Andrews Bedford spoke to the Duxbury Art Association about Frank W. Benson's deep roots in the area's art community. Here's an article from the Duxbury Clipper. 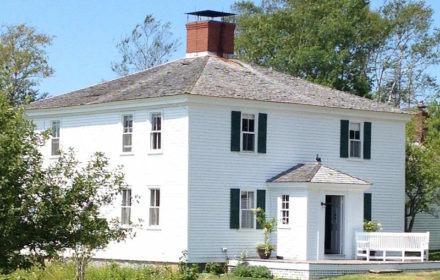 Frank W. Benson’s biographer and scholar, Faith Andrews Bedford, will be giving a series of lectures on the artist’s life and work the summer in New England. The first lecture will be part of the celebration of the 100th anniversary of the Duxbury (MA) Art Association. It. 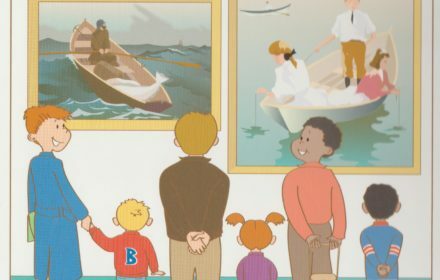 For all of you who fell asleep while listening to Goodnight Moon or read it to your children or grandchildren, there’s a new book out that features a Frank W. Benson painting guaranteed to help little ones drift off to sleep as they dream of rocking in a small boat. The month of March is a time of migration. The skies are full of geese heading north making a graceful “V” against the pale spring sky. 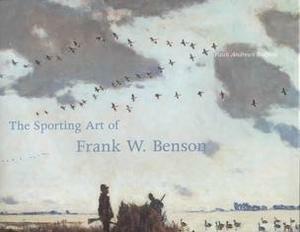 The patterns these migrating wildfowl make as they wing their way to their summer homes remind those who admire Frank Benson’s art. 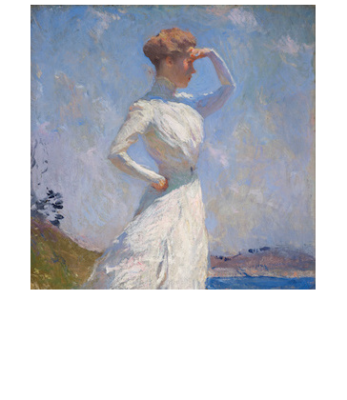 When Frank W. Benson returned from two years of study at the Academie Julian in Paris he hung out his shingle and began painting portraits as quickly as he could. 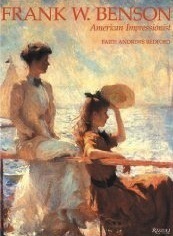 He’d just become engaged to a childhood friend, Ellen Peirson, and needed to prove to her widowed mother that he could.